You could either simply toss your empty wine bottles in the recycling bin or could do something creative and much more awesome from them. We all have unnecessary old wine bottles staging in a bin or cupboard, but now we know what to do with them. 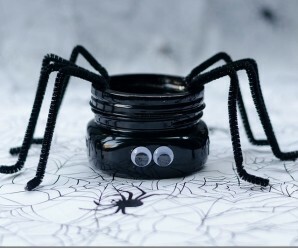 Simply adding paint, twine, and other decorative craft supplies etc. can give an old bottle a new look and new life. 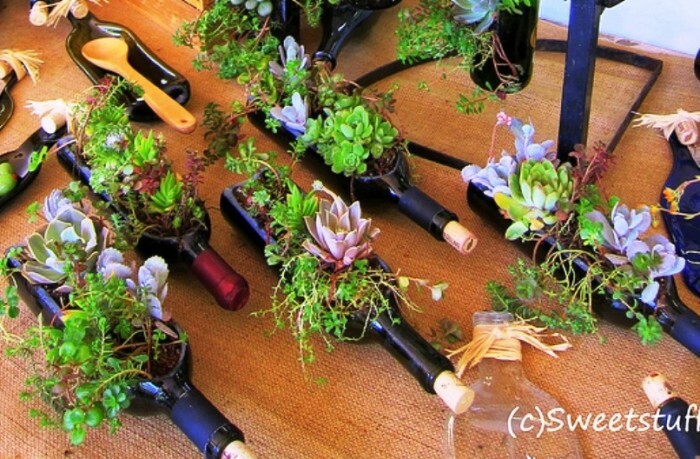 There are plenty of ways to reuse wine bottles and craft them into handy tools or stylish decor. Here we collected some new ideas for recycling your old wine bottles. 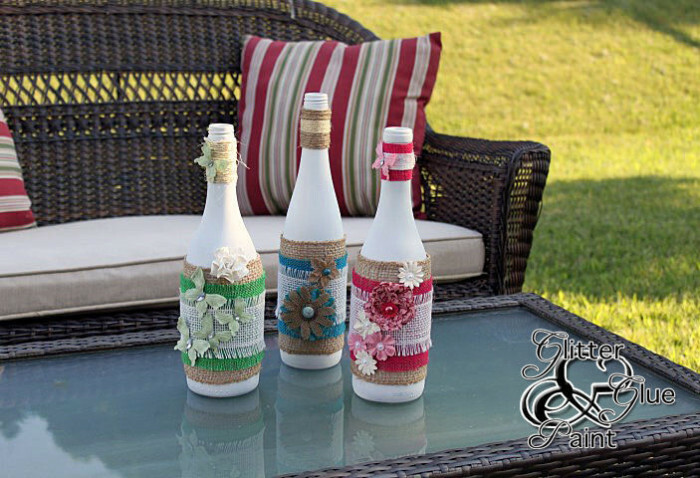 These wine bottle crafts can help you in having stylish and trendy home decor. 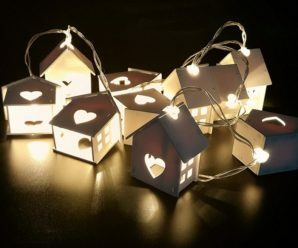 You can choose the DIY you like the most from the below list. 1. 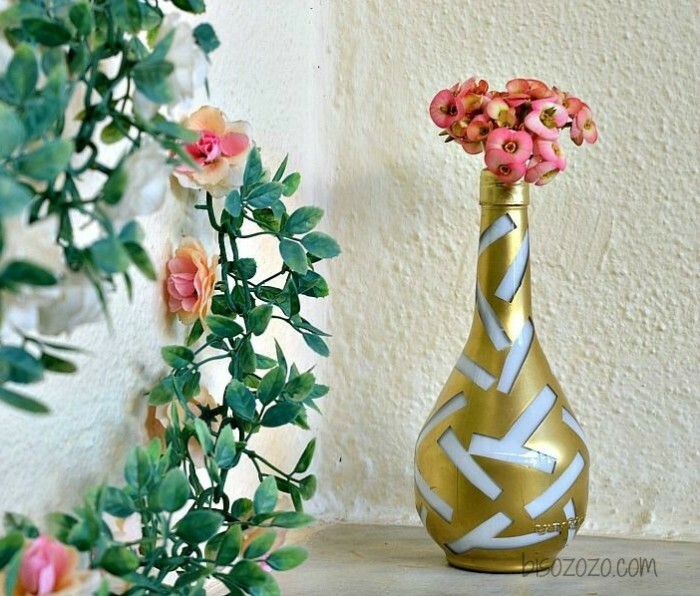 Gold and White Vase: Here is a good idea to recycle the wine bottle. A beautiful flower vase made to decor your home beautifully. 2. 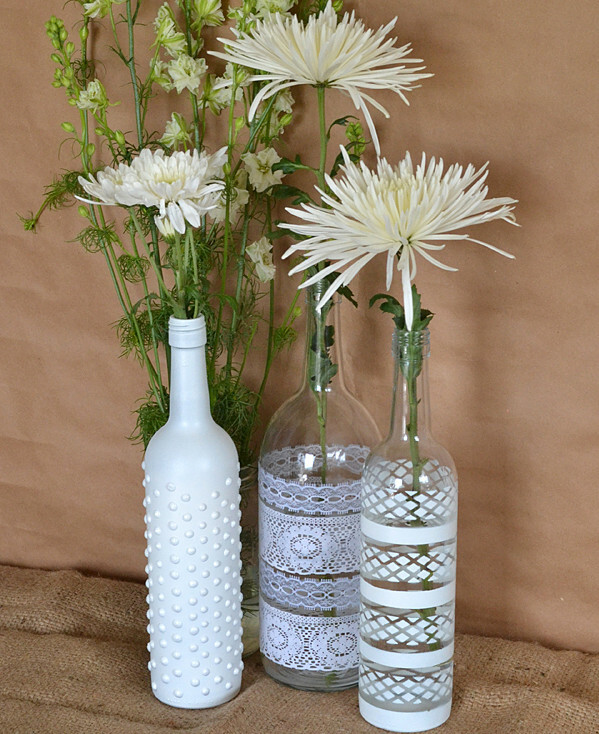 DIY Rope Vase: Creative rope vase made lovely, the materials were surprisingly inexpensive. 3. 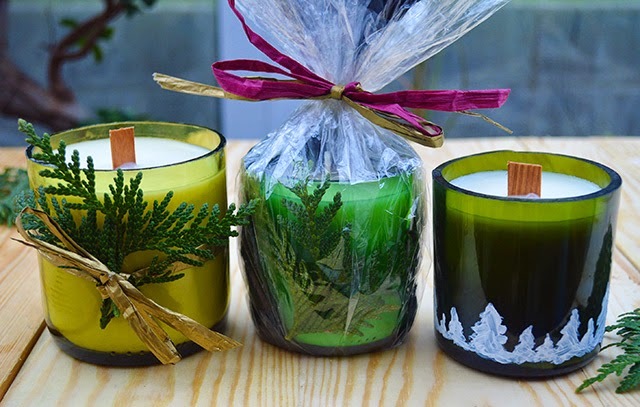 Hurricane Wine Bottle Candles: It would be a fun craft for you. 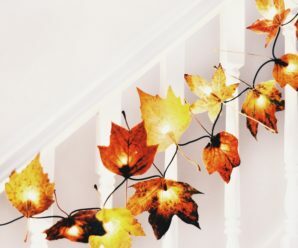 It would look lovely on a patio. 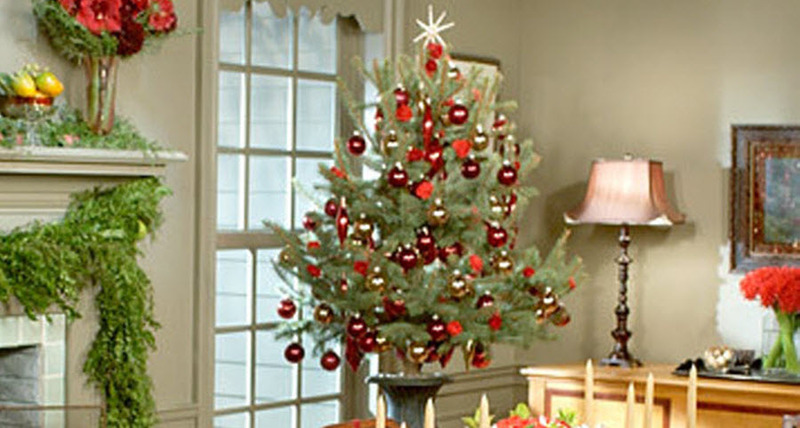 You could use a string of lights & suspend the wine bottles even. 4. Gorgeous Wine Bottle Planter: Put gorgeous greenery on display in your home by re purposing an old wine bottle into a lengthwise planter. Fill it with some spring flowers. 5. 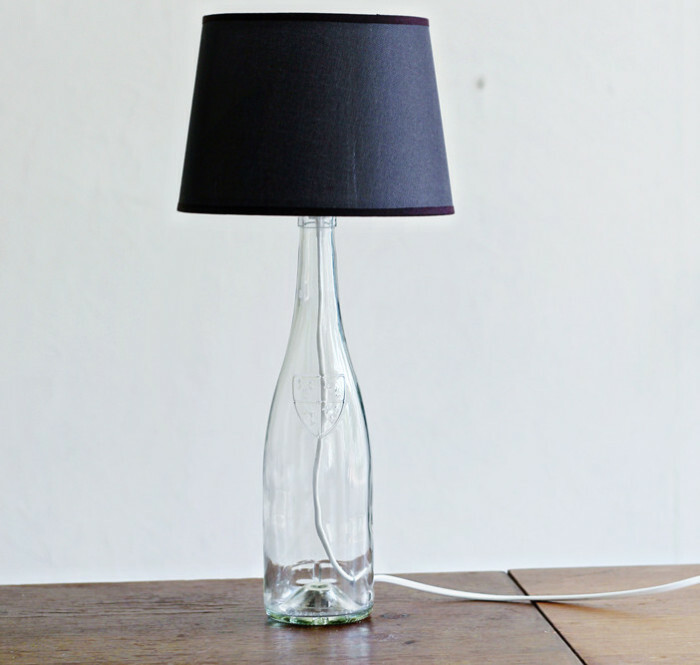 Wine Bottle Lamp: Spend some time to recycle your old wine bottle as a lamp. 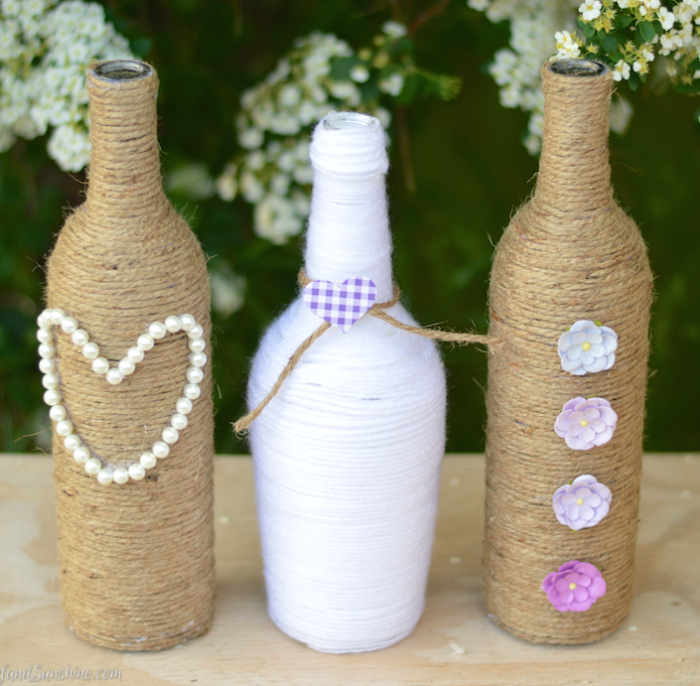 It will help you to reuse the wine bottle craft. 6. Tiki Wine Bottles: It is super easy and there are so many things you can do with these decorated wine bottles. You can put some water in them and put in some wild flowers. 7. 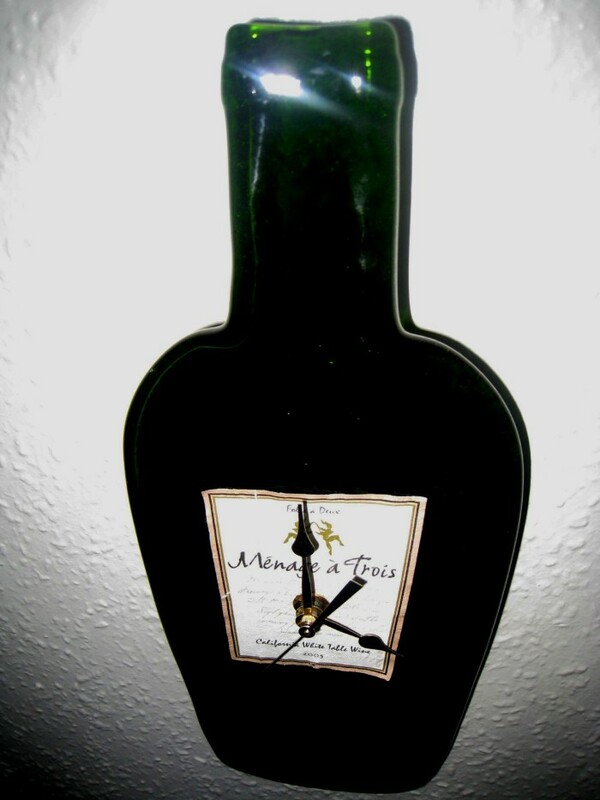 Creative Wine Bottle Clock: Wine bottle clock is a really cool piece of decor and most wine bottle crafts are relatively easy, and provide high-quality results you’ll be able to show. 8. 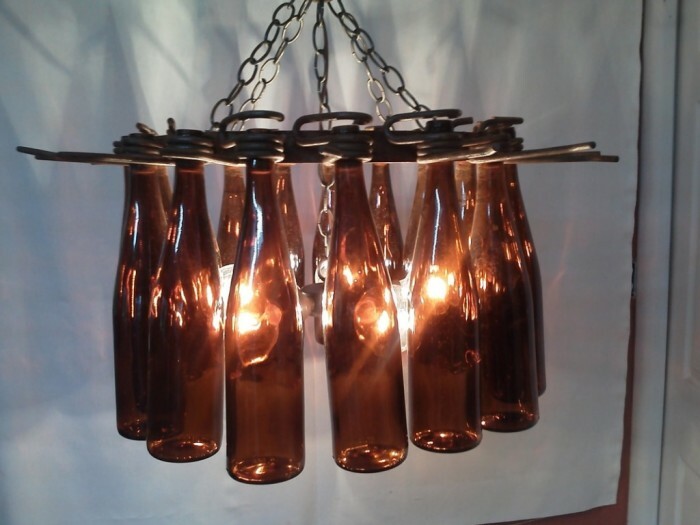 Wine Bottle Chandelier: These all are old wine bottles which are reused in this chandelier and become a good decor here. 9. 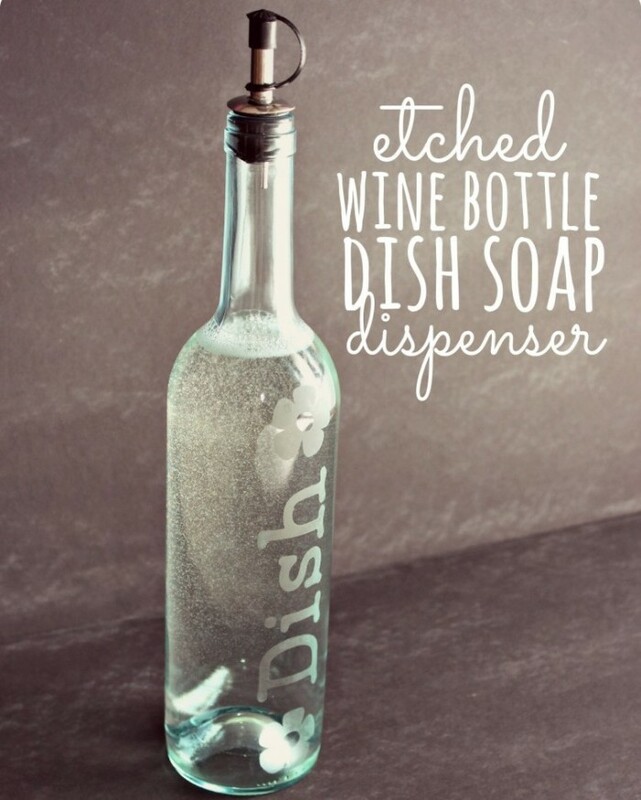 Wine Bottle Soap Dispenser: Make your own soap dispenser at your home inexpensively using wine bottle. 10. Lighted Wine Bottles: Just found the battery lights in all colors with lighted wine bottles which are made with old wine bottles. Just glue the battery pack to the back of the bottle and you can put them anywhere with no plug in. 11. 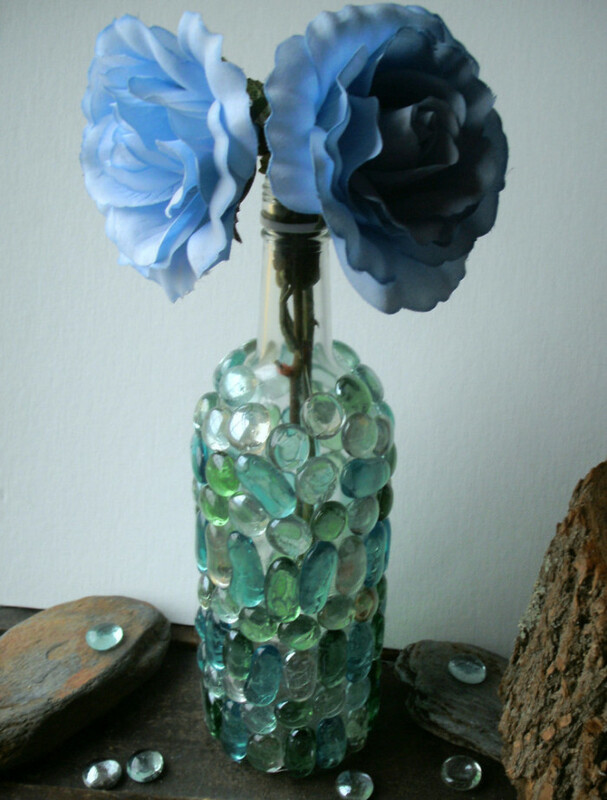 Decorative Vase with Wine Bottle: This vase made from an old empty wine bottle covered in pale blue, green and clear glass gems. 12. 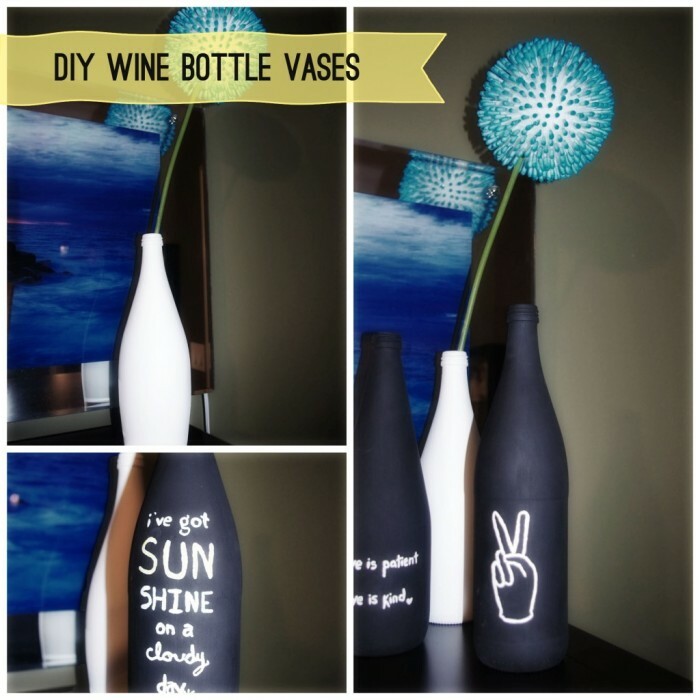 Decorative Ceramic Vase: Here is a way to make ceramic vases to yourself at home using crafty wine bottle in your usual DIY fashion. 13. 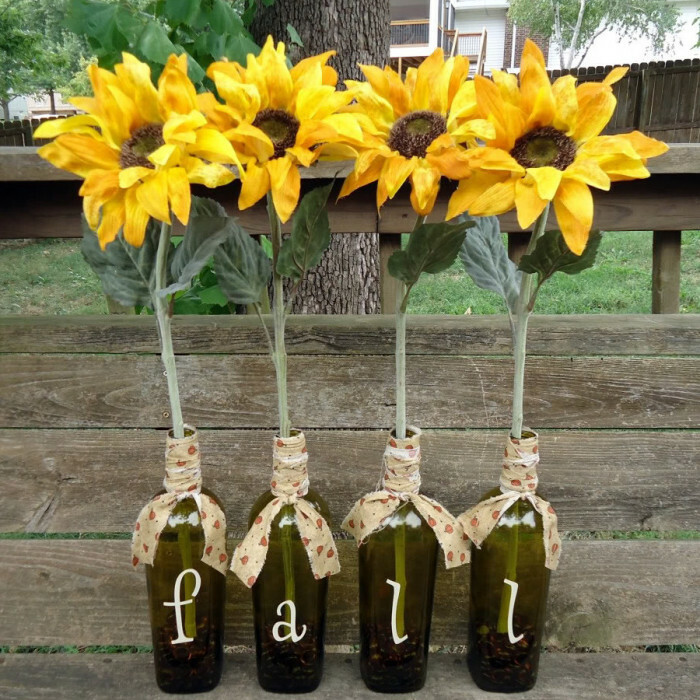 Creative Flower Vases: Here using old crafty wine bottles instead of jars made colorful flower vases and then used vinyl for the letters. 14. 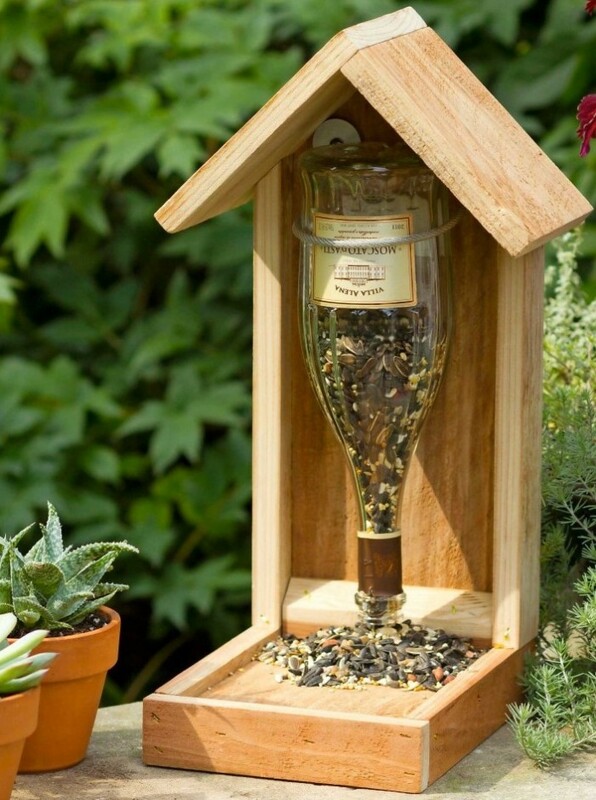 Wine Bottle Bird Feeder: There is a unique feeder to sit and watch birds in an afternoon. 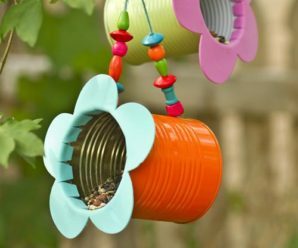 This bird feeder looks super simple, using an empty wine bottle and just a few tools. 15. Wine Bottle Vases: If you’re looking for a quick way to brighten up a room or a sweet little gift for a friend, these are definitely the way to go. 16. 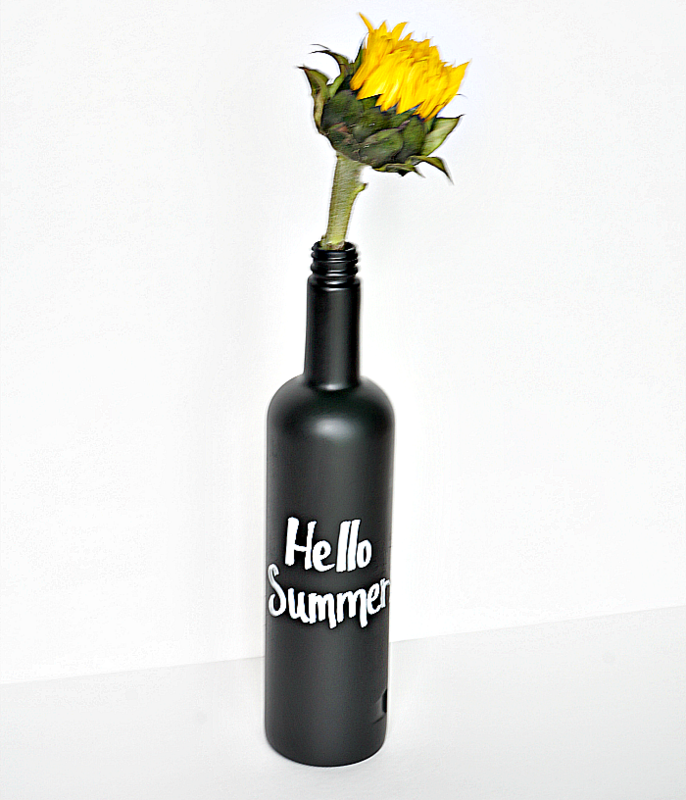 Chalk Board Wine Bottle Craft: This is such a fast and easy craft. 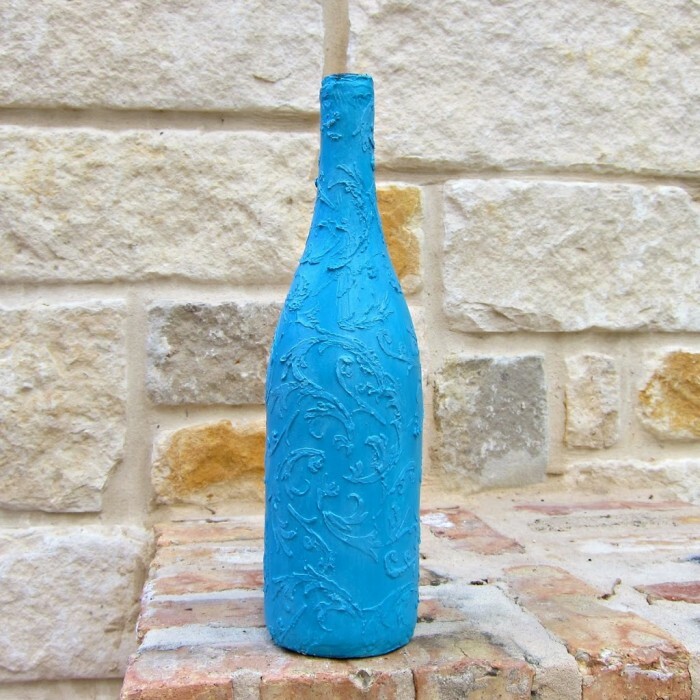 Minus the paint dry time, I literally spent less than 5 minutes making this wine bottle vase. 17. 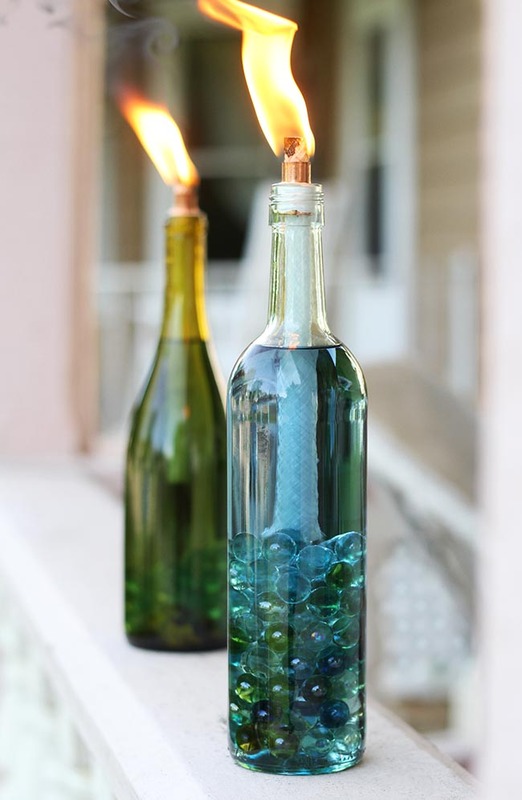 Wine Bottle Cintronella Candles: You can make your outdoor entertaining area look just a bit more classy by replacing your old, weathered tiki torches with your beautiful, colorful wine bottles. 18. 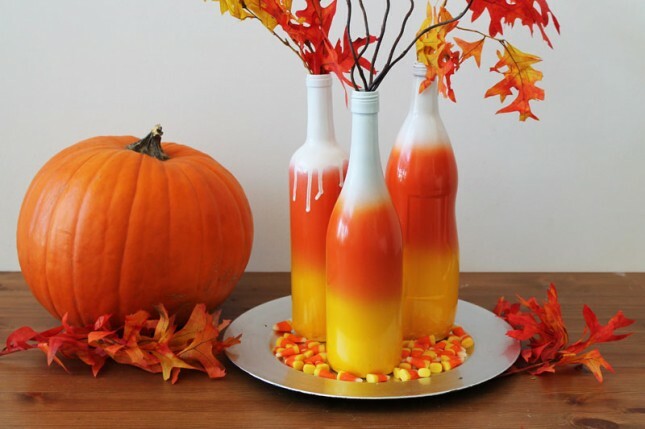 Colorful Wine Bottles: The old wine bottles are become colorful wine bottle and centerpieces. 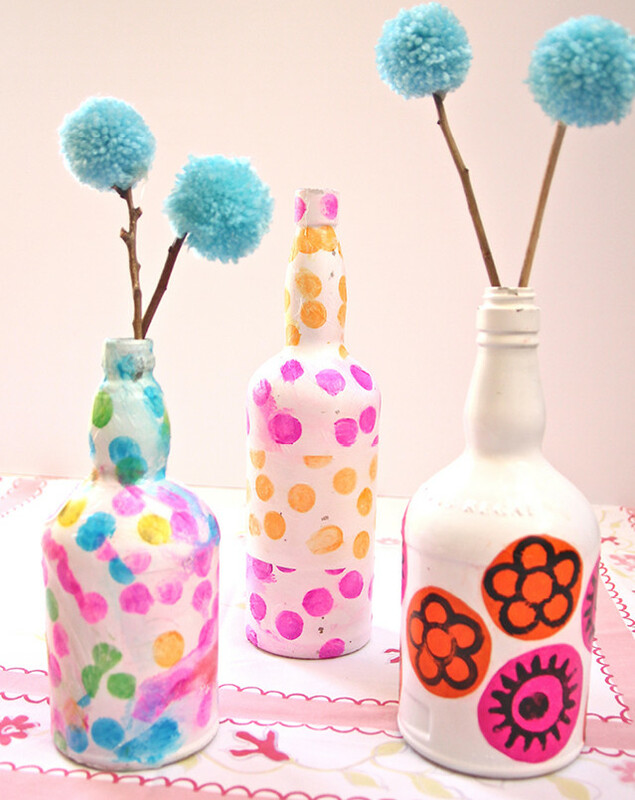 Just spend 1 hour to do this DIY colorful wine bottles to decor your home. 19. 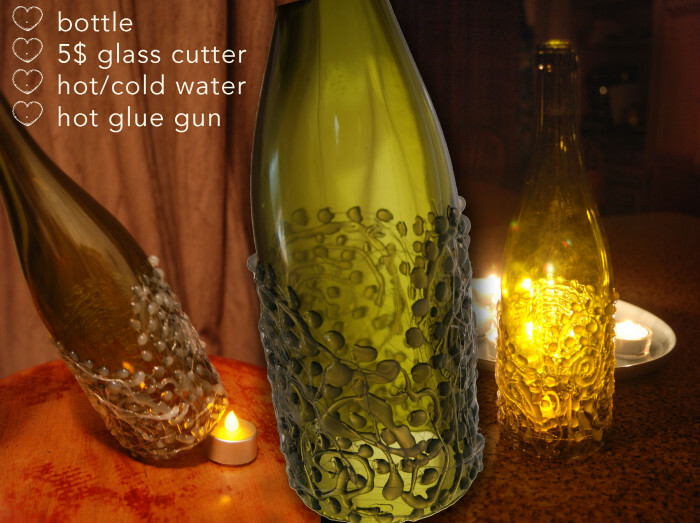 Wine Bottle Candle: Here some emptied and then tossed out with the recycling, glass wine bottles are used to make creative and beautiful candles. 20. 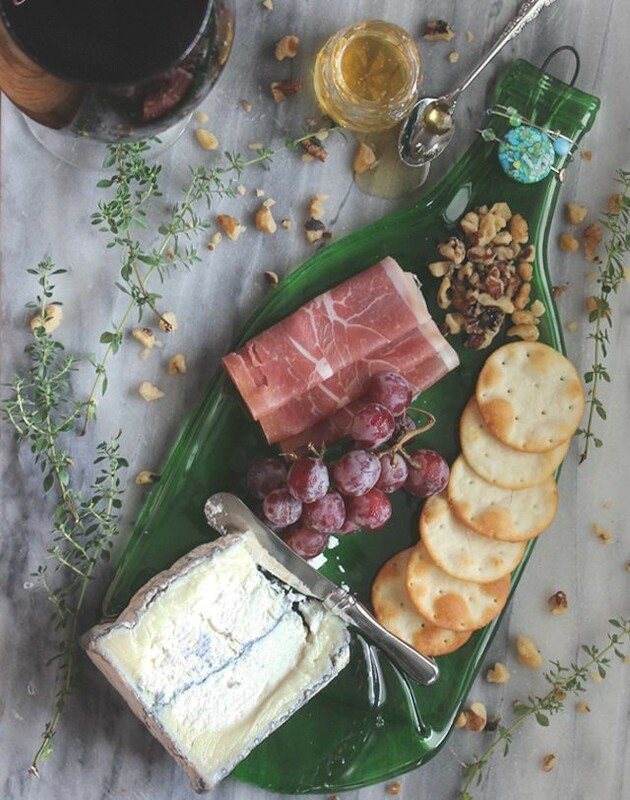 Wine Bottle Serving Plate: The bottles can serve as personalized wall art, colorful spoon rests and elegant serving plates. Here just you to flattening wine bottles for creative solution to recycle those old wine bottles that are too beautiful. 21. Wine Bottle Decorative Vases: Very Creative recycled wine bottles. It seems pretty simple to do so. And if you’re looking for something just a bit more sophisticated, you just try this. 22. Wine Bottle Torch: Wine bottle torch is perfect for garden. 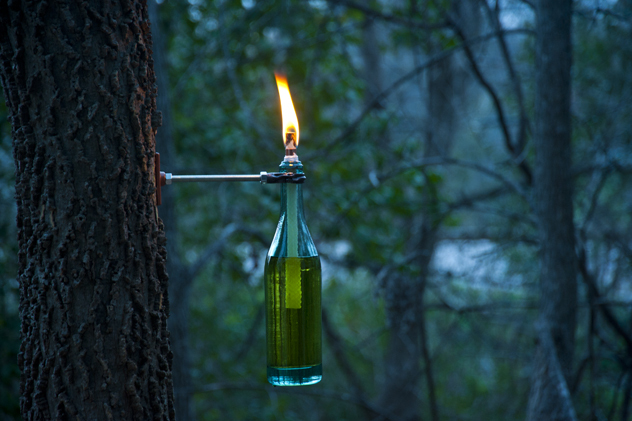 Staying there at night you can have this bottle torch light in your garden and any where else. 23. 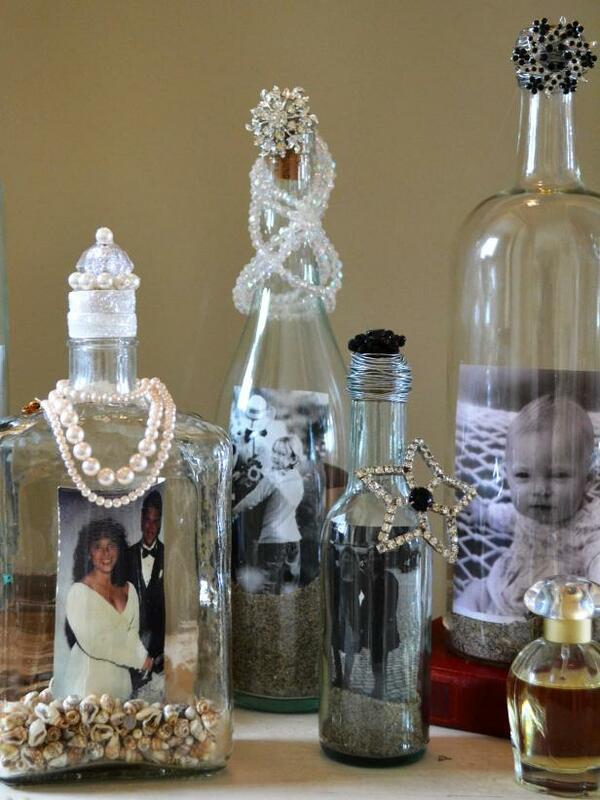 Memory Bottles with Picture Frames: Here is an easy and inexpensive way to display your favorite photos. You can seal your memories in the bottle. 24. 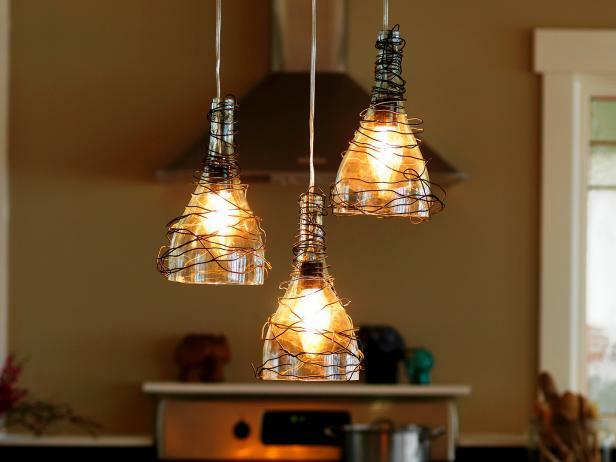 Wine Bottle Pendant Lights: Use old empty wine bottles to create these delightful pendants. New kitchen lighting can cost a fortune. This a good way to recycle your old wine bottle for your kitchen decor. 25. 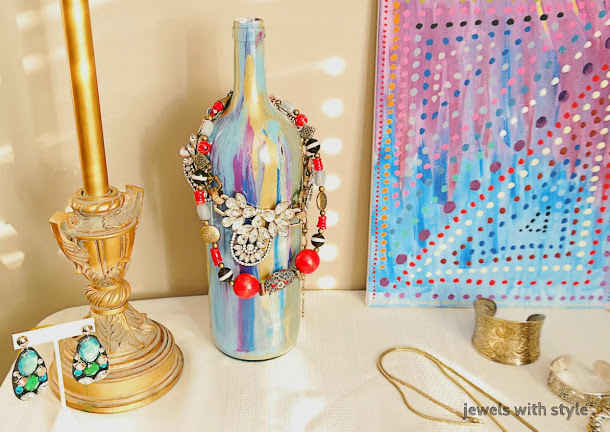 Wine Bottle Jewelry Organizer: Here is creative thought to make jewelry organizer with an old wine bottle which can help you to store and organize your excess jewelry & also serve as cool decoration. 26. Wine Bottle Vase Centerpiece: This is a inspired centerpiece using some wine bottles all fancied up in nothing but white and filled with gorgeous white flowers. 27. 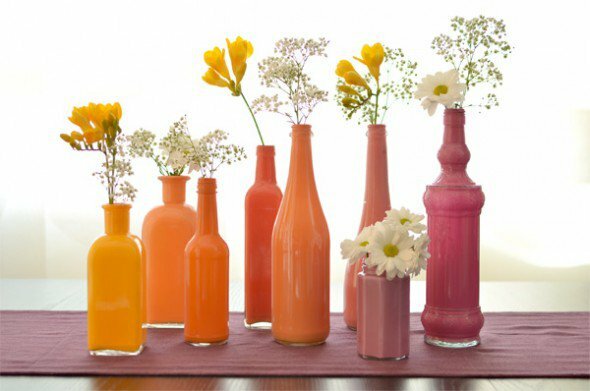 DIY Painted Vases with Wine Bottles: Get a chance to “up-cycle” some old wine bottles and make them into the perfect wedding centerpiece. 28. 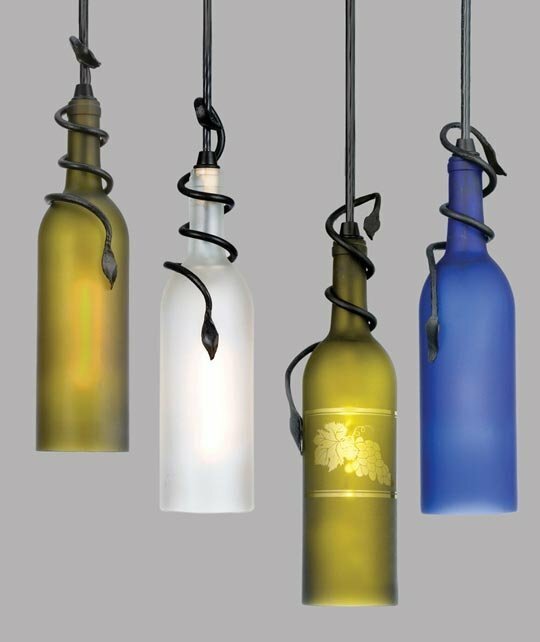 Wine Bottle Hanging Lamps: This is a green idea everyone should try. 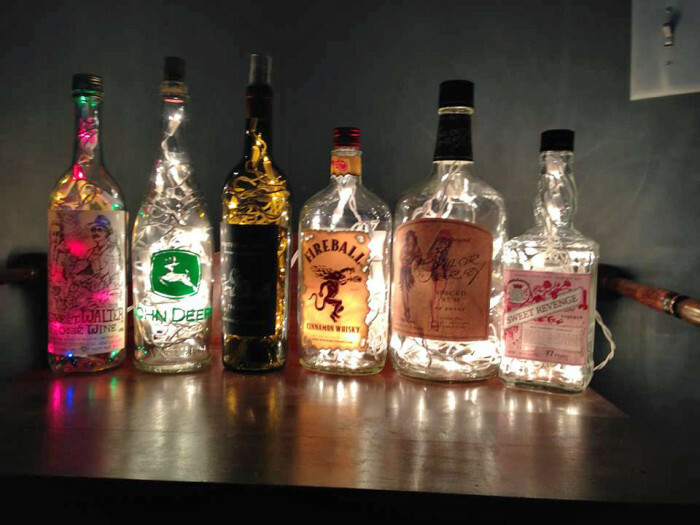 We always keep pretty bottles with the hope that they could someday become lamps.